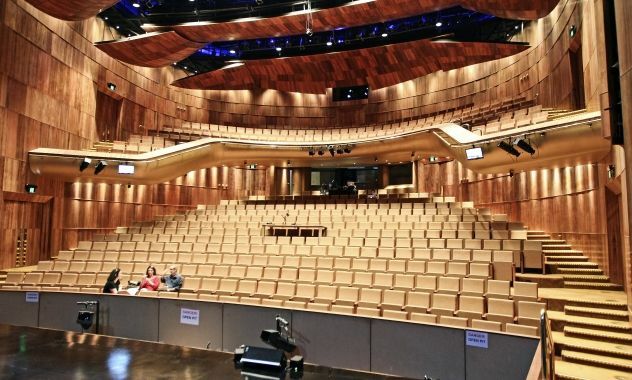 Unveiling the world-class Northbridge complex yesterday, Premier Colin Barnett called it a remarkable event to rival the opening of His Majesty’s Theatre in 1904 and the Perth Concert Hall in 1973. The family of the late Perth-born film star Heath Ledger were in the gold-toned, timber-lined theatre named in his honour for the opening. 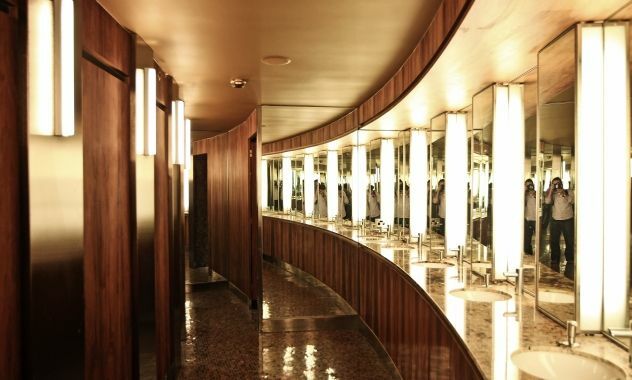 Heath Ledger’s father Kim, sister Kate and mother Sally Bell said they were overwhelmed by the construction and design. “I think Heath would have thought it was magnificent. 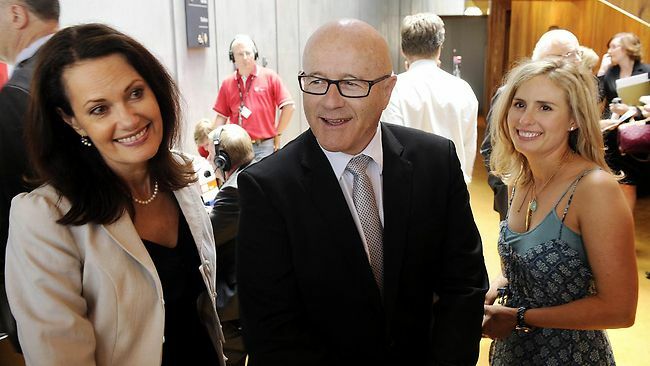 I have said this before, and we all agree, that he must have been a bird on the shoulder of the architect,” Kim Ledger told reporters at the opening. Kate Ledger added: “It’s reflective of the way he was as a person. The theatre is eerily reflective”. Ms Bell said she was humbled by the honouring of Ledger’s memory and the day was a “very mixed emotional time for us, but ultimately we’re very, very proud”. Time will tell whether making a landmark WA opera about a teenager who can’t sing because she is mute will be a stroke of genius or madness. Perhaps the deaf, dumb and blind kid Tommy, who played a mean pinball in the Who’s 1970s rock opera, or Procne, whose tongue was cut out by her jealous husband in Richard Mills’ The Love of the Nightingale, guided the thinking of composers David Pye and Lee Buddle and librettist Phil Thomson in creating their new chamber opera Into the Shimmer Heat. “It really comes out of the story-line,” says Pye of the central character, Nina, who will be played by a dancer. This production, which will have its world premiere in Perth late next year, has been brewing for 16 years. Into the Shimmer Heat has finally been given its chance to bubble into life through a large injection of cash from the State Government’s now-defunct Major Production Fund. When it opens in the new Heath Ledger Theatre in October next year, 16-year-old Nina, rendered silent and sullen by the grief of her father’s death, will soar with her mother in a hot-air balloon above the heads of the audience. It will be a striking start to an opera about love, loss, life and the struggle of non-indigenous people to come to grips with Australia’s vast landscape. Flying across the desert, Nina is glued to her iPod as her mother sings of her love for the huge, empty land below. But a storm strikes and her mother plummets to her death, leaving Nina trudging through the desert and hallucinating into existence a camel as her companion. Her mother’s ghost comes across a waterhole inhabited by other spirits. Nova Ensemble, the fine-music group led by Pye and Buddle, has received $390,000 from the MPF for Into the Shimmer Heat, which involves some of WA’s leading independent performing artists across music, theatre, dance, puppetry and design. Also on board is Opera Australia artistic director Lyndon Terracini in a mentoring role. The two-year fund concluded last year after dispensing $2.1 million between six projects. They include Marrugeku’s 2009 Burning Daylight national tour, Yirra Yaakin’s Aboriginal musical Waltzing the Willara for the 2011 Perth International Arts Festival and a Thin Ice/WA Opera’s co-production of Richard Strauss’ Elektra in 2012. Pye says the development and production costs for Into the Simmer Heat will be about $800,000, so half will need to come through sponsors, philanthropists and the box-office during its likely two-week season. The announcement of the MPF in late 2007 came like drought-breaking rain for Pye, Buddle and Thomson after years of perseverance but diminishing expectations that the opera would be anything more than presented in concert version. The project began in 1995 with a chat between Pye and Spare Parts Puppet founder Peter Wilson about the junk opera Shockheaded Peter. “We were just having a discussion about puppet operas generally and the lack thereof,” says Pye, who commissioned Thomson to write the libretto. 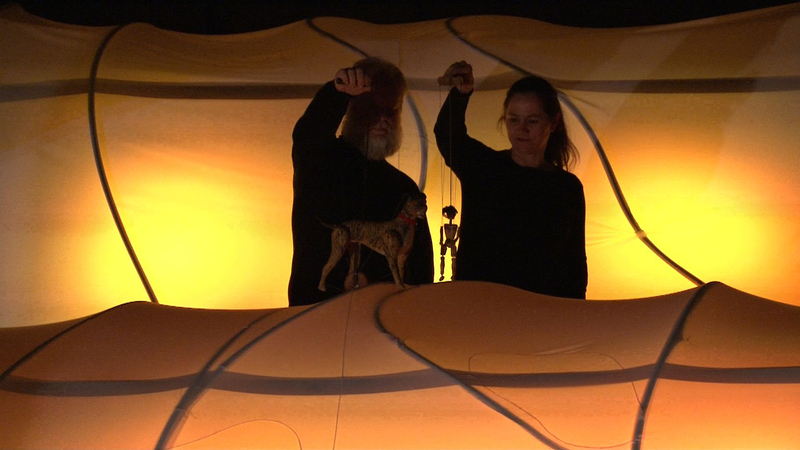 What they settled on were some small marionettes to alter the scale of characters walking across a distant sand dune and Philippe Genty-style manipulation of objects such as wicker, sticks and fabric from the wrecked balloon morphing into the hallucinatory camel. A young WA dancer, who is yet to be named, will play Nina with the other roles taken by soprano Sara Macliver, mezzo-sopranos Xiaojia Zhang and Fiona Campbell and baritone Robert Hofmann. The Nova Ensemble will perform in the pit, from which the spirits will rise up on to the stage aided by designer Alan Murphy, choreographer Danielle Micich and puppeteers Ian Tregonning and Joanne Foley. 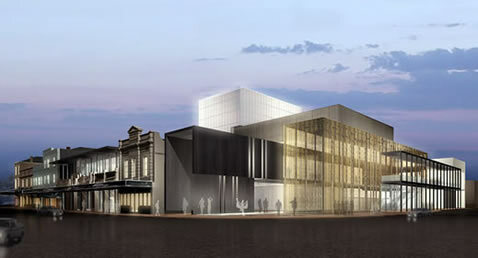 The Nova Ensemble will hold more workshops in the new Heath Ledger Theatre in December to test technical aspects of the venue. 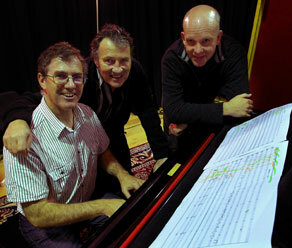 Nova Ensemble is a contemporary music group based in Fremantle, Western Australia. The group’s music explores aspects of music technology, contemporary instrument design and building, cross-cultural music, collaborative composition and improvisation. The members of the group are all involved in creating repertoire for the group, and each brings a diverse range of skills to our performances. music, principally by Western Australian composers. As Artistic Director of Nova, he has been responsible for commissioning and performing works by every major composer resident in Perth. 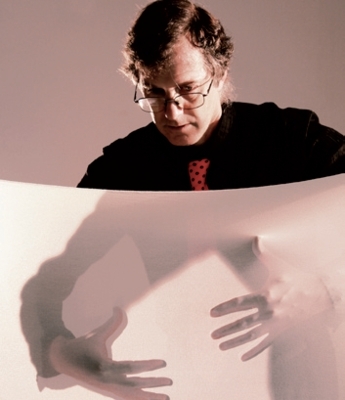 David took up composition in 1989 with commissions since for Nova, Chrissie Parrott Dance Company, Festival of Perth, Independent New Choreographers, 2-Dance Plus, Australian Broadcasting Corporation, WA Academy of the Performing Arts School of Dance, Graduate College of Dance, Myth Maker Films, Mostly Baroque and the W.A Mandolin Orchestra.